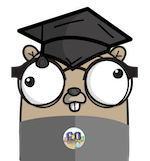 arschles - GopherCon 2019 CFP OMG! Personally, I submit my rejected proposals - and there are a lot of them! - to other conferences, or use them as inspiration for new proposals. @carolynvs - who is on this year’s program committee with me - has some great tips tailored for this year’s conference in her post. In order for us to accept your proposal, we have to know that you know what you’re talking about. So tell us that you do!